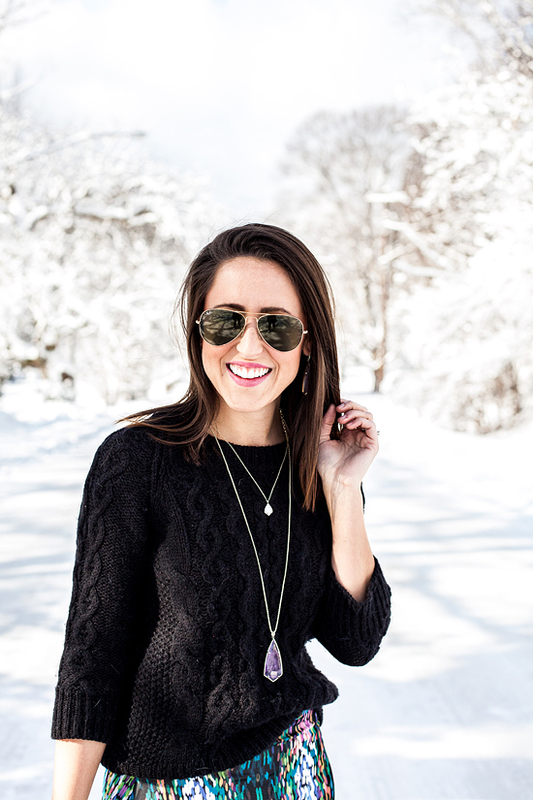 jewelry: borrowed from the Kendra Scott Green Hills store. 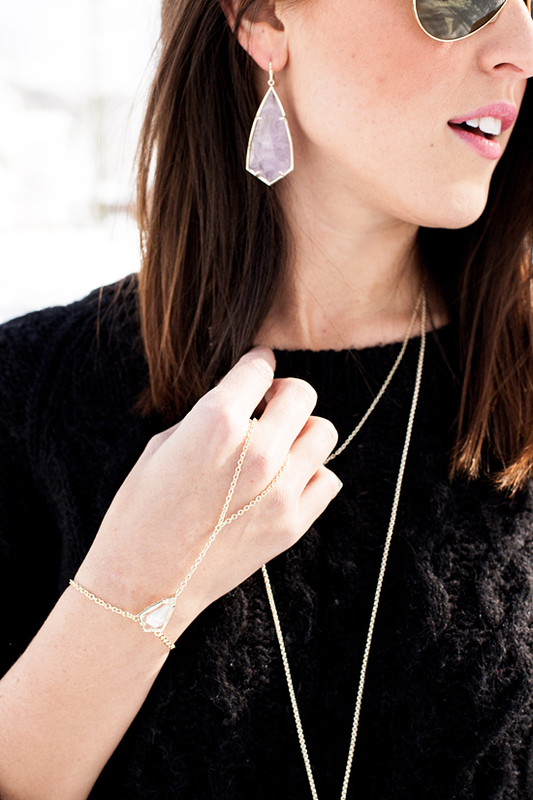 Featuring the Caroline earrings, dainty Cory necklace, amethyst drop Carole necklace, & Lyle hand chain. 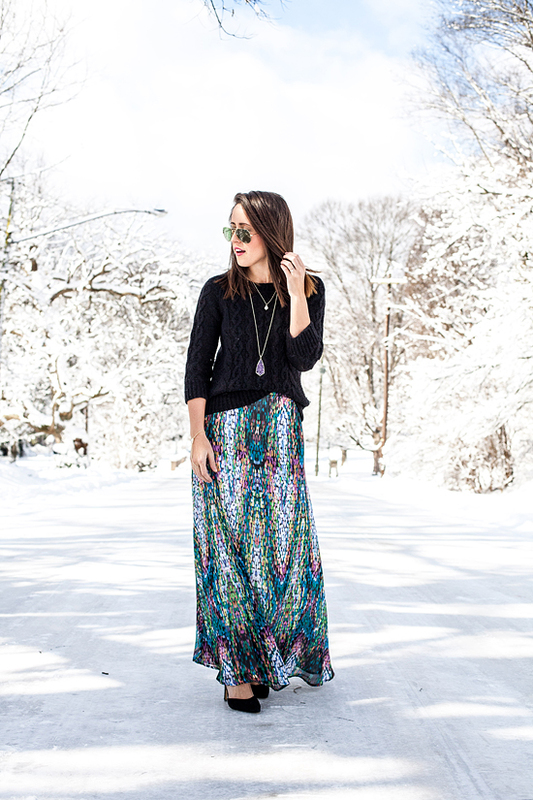 This is the skirt that inspired my Winter wonderland photoshoot outing. I had this gorgeous skirt from Shabby Apple hanging in my closet & I just knew how dreamy it would look against the amazing white-out Nashville experienced last week. Luckily, my amazing photographer Kate lives close to me, & was willing to brave my snow driving skills to capture these images. The giggles we shared while I navigated this sheet of ice in heels was just a bonus! #doitfortheblog - amiright!? This maxi skirt truly is a work of art & I love how the stunning purple stones in the Kendra Scott gems pick up on some of the stained-glass-esque colors. All of the jewelry I'm wearing with this outfit is from the Spring 2016 Collection just launched by Kendra Scott, & the inspired-by-modern-art pieces are beyond fabulous! Shabby Apple is truly a brand that I adore (in fact one of my all time favorite dresses is Shabby Apple - full post), & I always look to their clothing for great teaching clothes, & items that will be a little different from what everyone else is wearing. 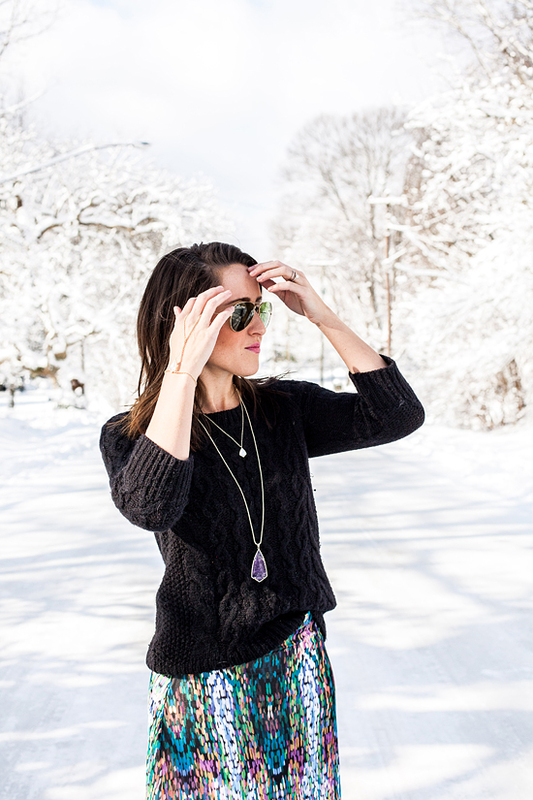 Today I'm partnering with Shabby Apple to give away a $50 gift card to their online store. Come get social with us on Instagram to enter! Details in the Rafflecopter widget below. A random winner will be selected in 1 week.